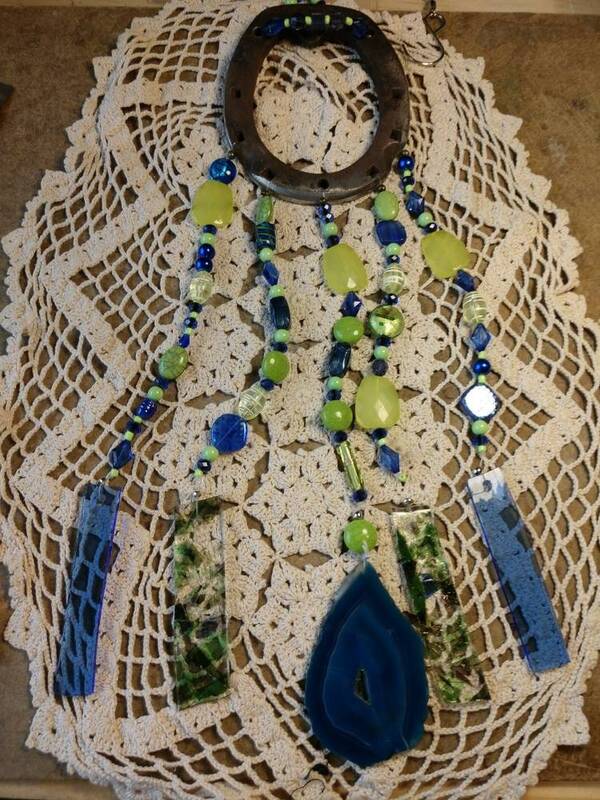 This beautiful wind chime is made from a Hand Forged horseshoe. 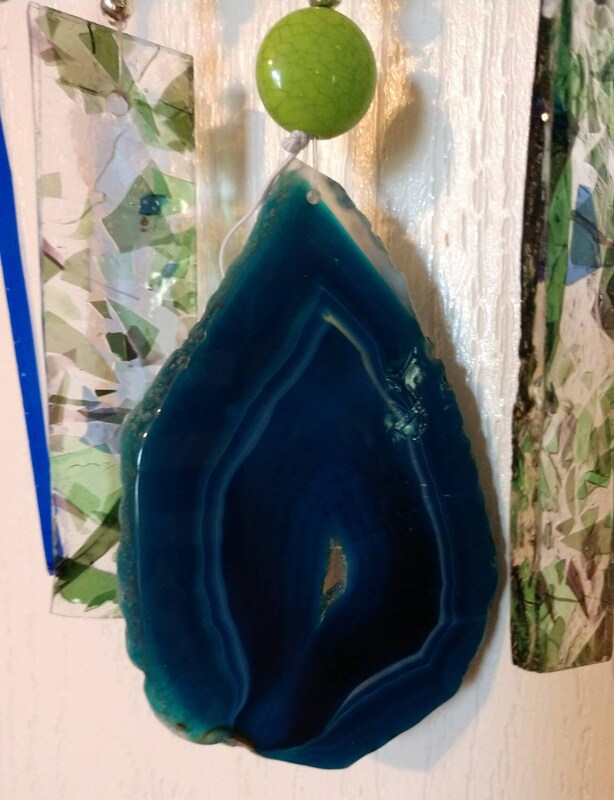 It is embellished with beautiful stained glass, vintage beads, glass beads, with a focal point of a beautiful blue geostone. 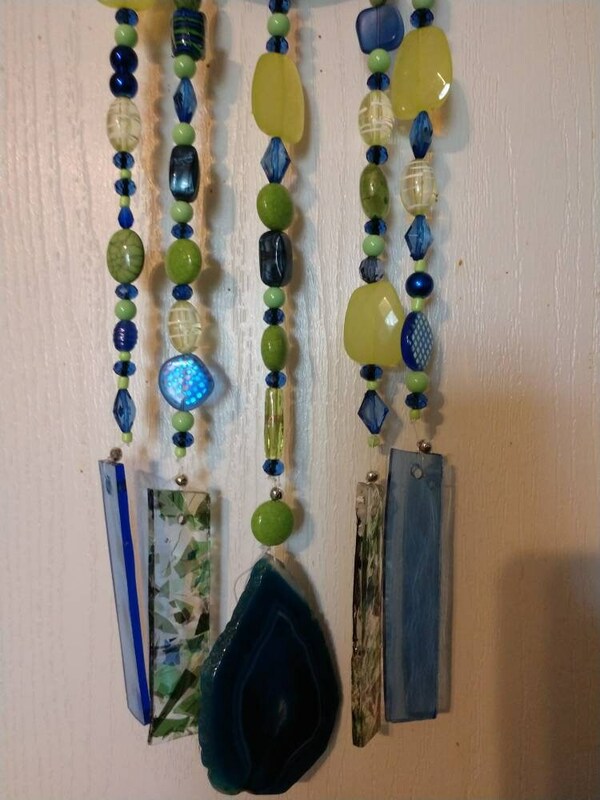 the actual glass Chimes are made from a pretty blue Spectrum Glass and blue and green confetti glass.